A healthy CBD bar that is totally vegan and gluten free, with no added sugar or other preservatives? We present you the new CBD Wünderbar! Now in stores at Boerejongens Coffeeshop West and Boerejongens Coffeeshop Center! We love innovation and we love CBD and it’s benefits. 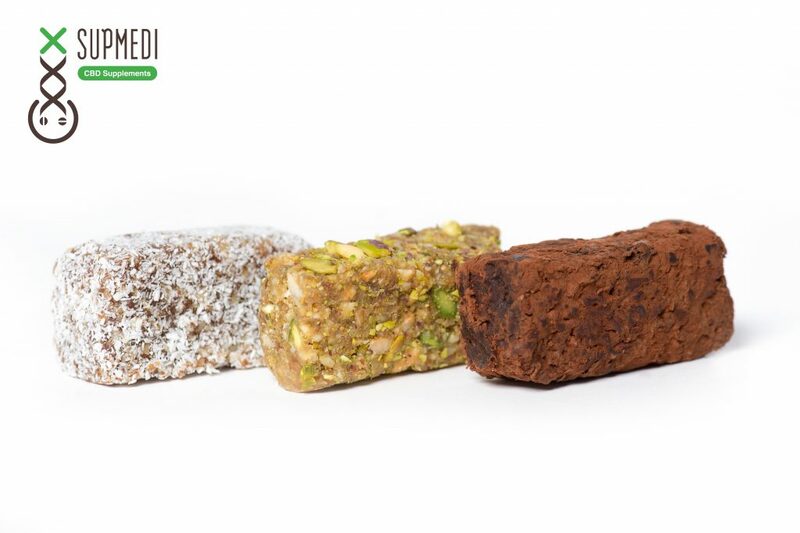 So it will come as no surprise that we choose to sell these delicious and healthy bars in our coffeeshops. The CBD Wünderbar is one of the tastiest bars you will find in Amsterdam. They’re handmade in our lovely city with only the best ingredients and premium CBD (10mg per bar) by Supmedi CBD Supplements. And considering we were frequently asked about Vegan spacecakes; we are happy to tell you we made a good start! We sell three types of the handmade CBD Wünderbars in our shops: the ‘Classic’ (Dates, Walnuts, Coconut, Cardamom), ‘The Power’ (Walnut,Cashew, Dates, Cacoa, Clove and Certified Gluten Free Oats) and ‘Joy!’ (Figs, Pistachios, Cashews, Yellow Raisins, Sunflower seeds, Agave, Orange). All of them are so delicious, but there’s definitely a difference between the three, as you’ll see on the pictures below. The CBD Wünderbars weigh 53 gram (e) and contain 190 kcal per bar; and as we already told you: they’re totally vegan and gluten free! They also contain NO additives like sugar, E numbers or any other preservatives. Both bars definitely contain nuts though, so be careful if you’re allergic to any. Over the past few years we’ve learned that CBD has many health benefits. The Wünderbar also has some great benefits with recreational cannabis use though. After smoking the weed and hash from our coffeeshop menu, the Wünderbar is perfect to still your munchies and to bring you back with two feet on the ground after flying too high. This mouthwatering and super healthy treat is a must-try when you’re in Amsterdam. Please us on social media to stay up to date about our newest Spacetry, best weed, best hash and much more!